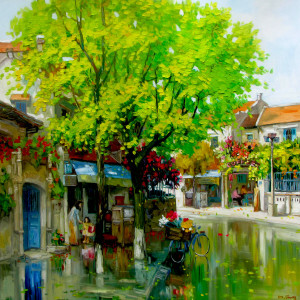 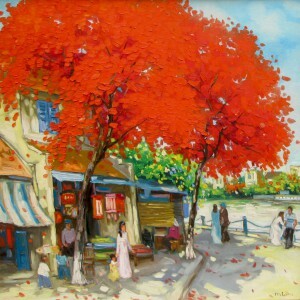 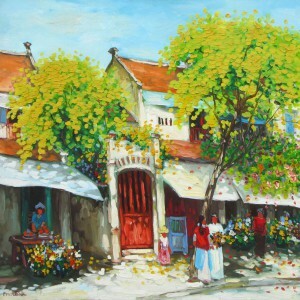 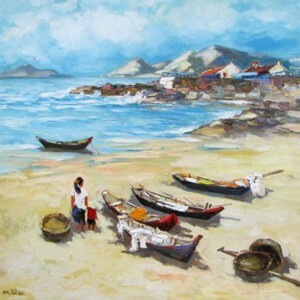 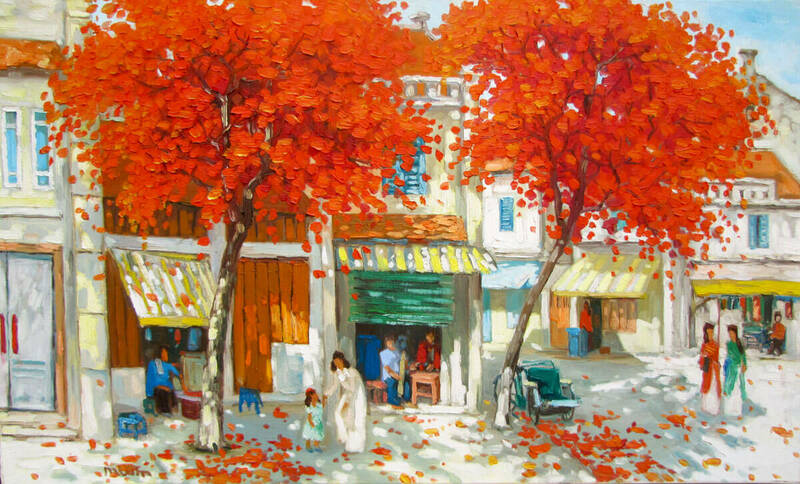 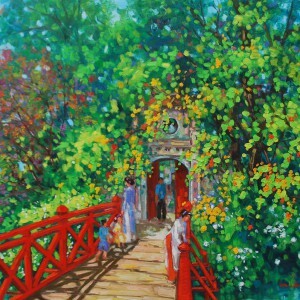 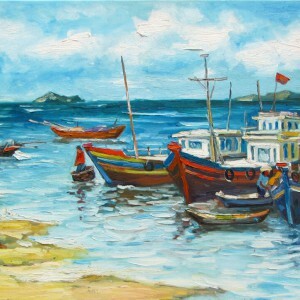 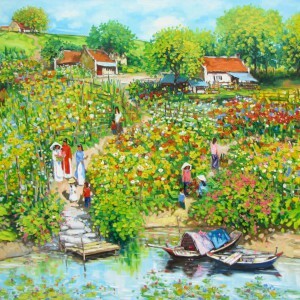 The scene of a street, painted by contemporary Asian landscape painter Lam Manh, is filled with the festive colors ranging from red to ochre. 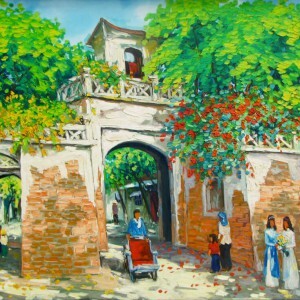 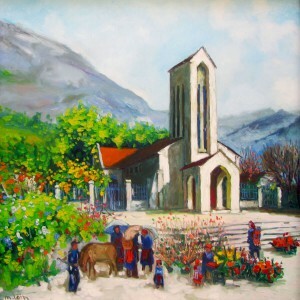 The piece is dominated by two orange trees in the center with houses and people painted around it. 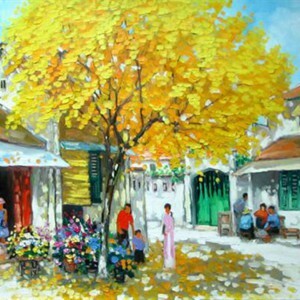 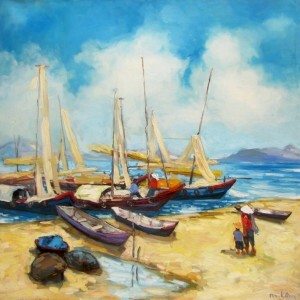 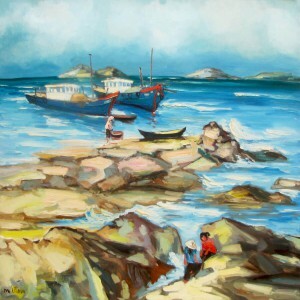 The viewer feels like being immersed in the heart-warming atmosphere of the area.